If, since the Renaissance, the Ars poetica has known a widespread diffusion, as demonstrated by the huge number of its interpreters who supported different positions and views, it is however especially in the later Cinquecento, in the context of the Tridentine cultural reorganisation, that the reception of Ars poetica is inextricably linked to the topical issues of the period, as the redefinition of poetry and its role in society. During the Counter-reformation, especially among the scholars educated at the Studio Padovano, the tendency to trace back Horace’s work to Aristotle’s Poetics arose, in order to establish the authority of both of these masterpieces; this trend finds the most explicit theorisation in a commentary published in 1604 by Ercole Manzoni, a relatively unknown priest from Bergamo. 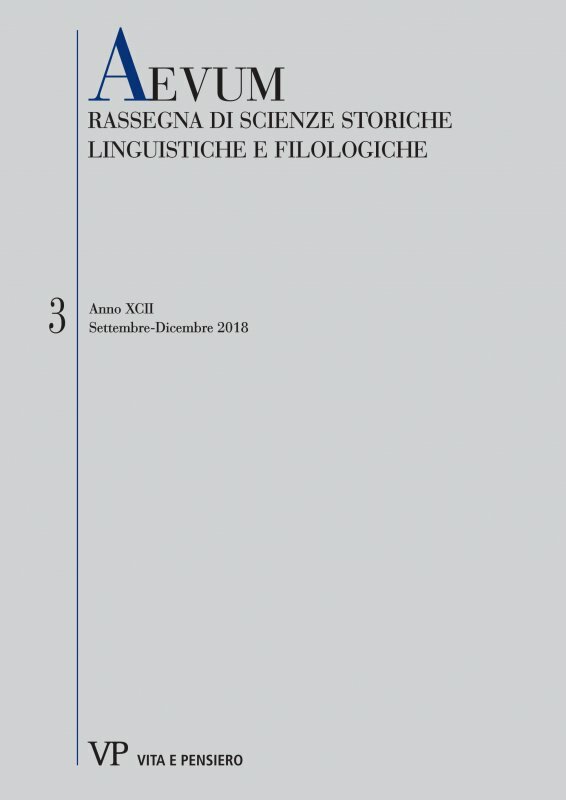 This article aims at illustrating the ways used to assert and discuss the Aristotelian influence in the Ars poetica, showing the links between this topic and other aspects of the exegesis on Horace’s works.